Maragogype coffee plant in the field. Photo by Juli Burden. Coffea arabica is a fastidious shrub. 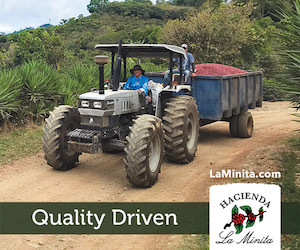 With the exacting terroir, heritage and willing producer to invest the time and energy into cultivating this delicate commodity, it will produce generous rewards. This shrub is grown in conditions that mimic its endemic origin of Ethiopia. Presently, coffee is grown in a region within 25 degrees latitude north to 30 degrees latitude south of the equator, colloquially referred to as the coffee belt. Within this belt, approximately 25 million people are involved in the production of coffee, all of whom are vulnerable to the consequences of climate change. Climate change is upsetting the fragile conditions in which coffee currently exists and the primary source of income for those involved in its cultivation. Trying to find a coffee producer who has not felt the impact of climate change is difficult. Sulaiman Abu Bakar, a coffee producer in the Aceh area of Sumatra, has noticed increased variation in the region’s two seasons, specifically a longer dry season and a shorter rainy season. He believes climate change is responsible for this seasonal volatility, which has reduced green coffee yields. “My father could produce 2,000 kilograms of coffee per hectare,” he says. Today, his farm yields only about 800 kilograms of green coffee per hectare. This decrease is not exclusive to Sulaiman’s farm — it’s a problem common to his neighbors and the region. Studies suggest that by 2050, climate change will impact more than half the land currently used for coffee cultivation, creating conditions unsuitable for production. While climate change is difficult to predict, the scientific community agrees the future outlook for coffee production is dire unless immediate action is taken. The response to climate change must include aggressive solutions. New coffee cultivars are required to adapt to the impact of climate change. Conventional breeding programs can take more than 30 years to produce a commercially available cultivar. (For more on current work in conventional breeding, read “The Fight Against Coffee Pests” on page 52 in the latest issue of Roast). Looking through the lens of climate change, this time frame is unacceptable. Similarly, transgenic engineering — incorporating foreign DNA into the genome of an organism — as it exists today is time intensive and requires significant financial investment. Although there is widespread consumer opposition to genetically modified foods and beverages, the scientific community does not share that opposition. And in light of the dire outlook for the future of coffee cultivation in the coming decades, it seems clear we must understand and embrace research that includes genetic engineering as a potential tool in the fight to save coffee. Genetic mutation within DNA is the result of naturally occurring processes within an organism and interactions with its environment. Mutations can arise during normal cellular events, such as when a cell divides. Cell division is a complex and highly orchestrated process called mitosis, with the result of creating two cells with identical genomes. Proteins work in complex arrangements and groups to accurately replicate DNA destined for the divided cells. During replication, errors to the genetic code occur, but are often corrected through additional mechanisms responsible for “proofreading” the process. It is possible to introduce mutations during these normal cellular processes. The environment can be an additional source of genetic mutation. Constant exposure to ultraviolet (UV) light is a common example, as UV light will penetrate cells and disrupt the DNA replication process, including inducing genetic mutations. Coffee tissue culture can be used to multiply and generate a vast number of coffee plants. 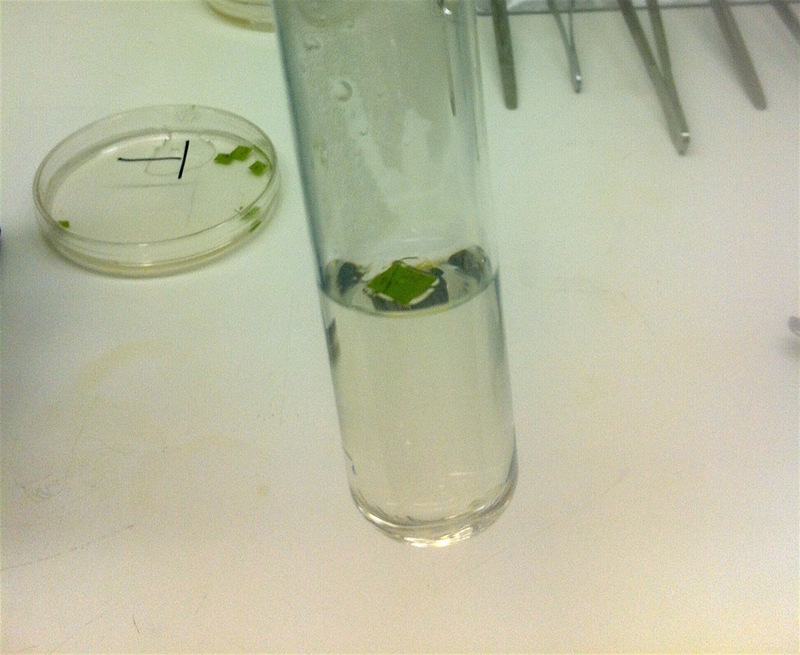 Pictured: Sterilized juvenile coffee tissue in a test tube containing a culture-initiation medium. Photo by Andrew Bowles. Natural selection exploits genetic mutations that confer advantageous traits. Wild, undomesticated organisms have been subjected to natural selection for tens of thousands of years, allowing them to thrive in diverse environments, with each organism containing a diverse genetic population. Through domestication, genetic diversity has drastically decreased in commercially grown crops. Unfortunately, Coffea arabica is one of the least genetically diverse crops currently under cultivation, a major concern for the species and its ability to overcome the threats caused by climate change. Some varieties of Coffea arabica have been derived through natural genetic mutation. For example, the variety Maragogype, which is known for its distinctively large seeds, was discovered in Brazil and is now grown throughout the world. Because natural mutations occur spontaneously, it is important for producers to recognize these anomalies and segregate the seeds for future planting and propagation. While there have been new varieties of coffee cultivated through this means, this process is slow, and most mutations go unrecognized as natural selection occurs over generations. This is a major disadvantage for the producer, who must confront changing growing conditions today. Efforts to investigate artificially induced genetic mutations in plants began in the 1920s. For example, scientists exposed hundreds of seeds to X-rays, a mutagen (an agent that causes genetic mutation) capable of breaching the physical barriers of the seed. Because of the high-energy wavelength, X-rays can penetrate the cellular structures of the seed and induce heritable genetic mutations, a technique called mutagenesis. It would be another three decades until the structure of DNA was proposed by genetic scientists Franklin, Crick and Watson, propelling the development of a new field: molecular biology. Until that milestone, researchers had to rely on observable means of screening treated seeds after sowing, an arduous task. Following mutagenesis, the plants would be subjected to conditions that would simulate a desired trait. If researchers were interested in enhancing drought tolerance, for example, they would restrict the amount of water provided to the treated plants. Over a period of time, scientists would screen for plants that exhibited the desired response. In this example, plants that showed a measurable tolerance to the simulated drought conditions would be candidates for further research to develop a new, drought-tolerant cultivar. Mutagenesis has been refined and improved throughout the past century. In addition to X-rays, both gamma and neutron radiation have been used to induce mutations. Chemical mutagenesis, a more recent application, also has been successful. The most common chemical mutagens are ethyl methanesulfate and sodium azide, which can be sprayed directly onto the plant material. 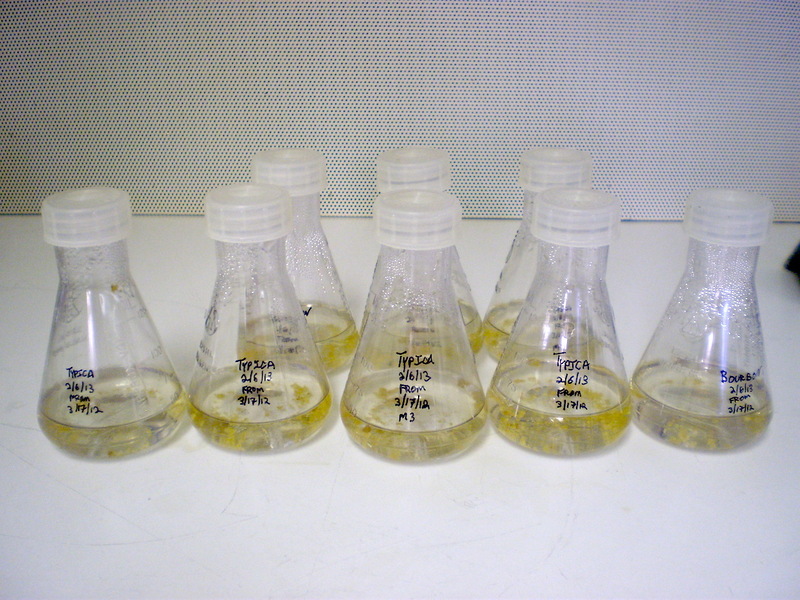 Because each plant species responds differently to mutagenesis, it is important to design the treatment and tailor the mutagen to each species. In some cases, using coffee tissue culture to clone plants can provide benefits over planting from seed. 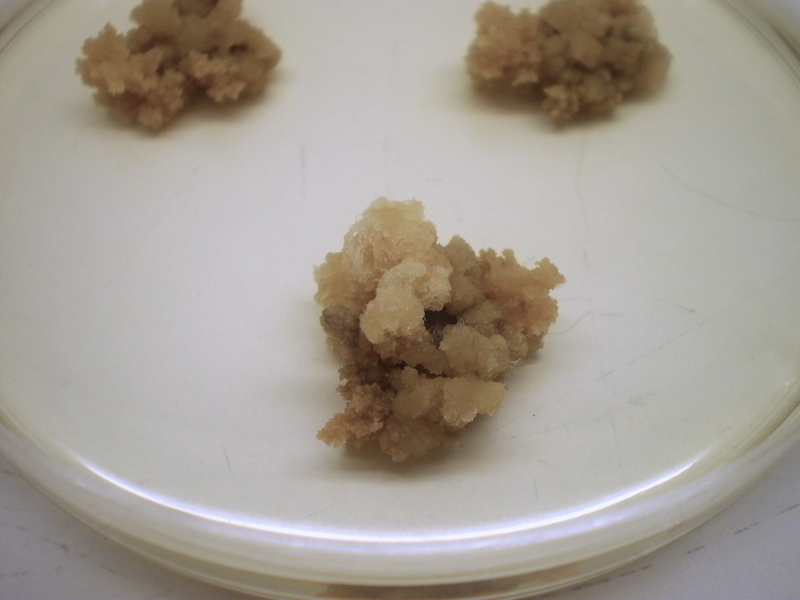 Pictured: Sterilized juvenile coffee tissue in a culture initiation medium. Photo by Andrew Bowles. This technique has progressed significantly since the pioneering experiments in the 1920s. 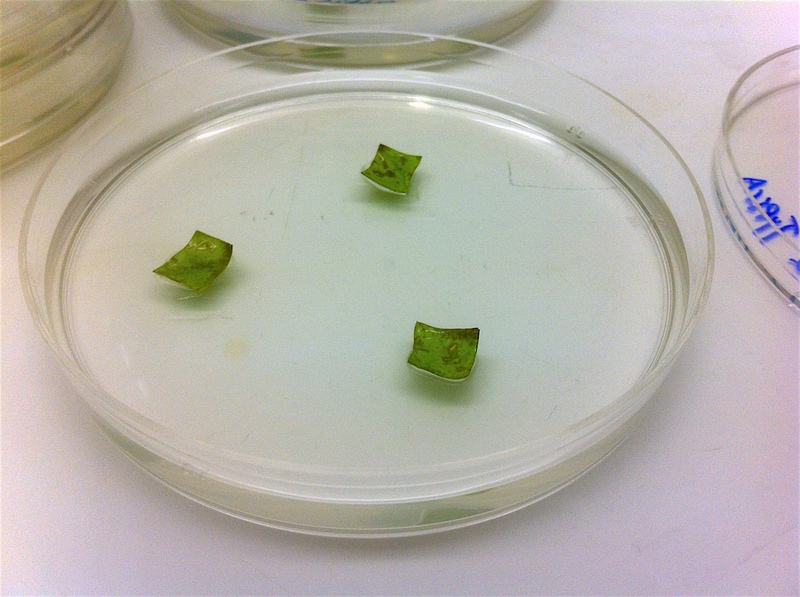 Researchers can now treat whole plants, cuttings and tissue in culture. In addition to screening mutants through direct observation, both biochemical and physiological methods have been established, increasing the number of mutants identified. The development of mutagenesis has artificially increased genetic diversity in essential crops, allowing scientists to breed crops with novel traits that allow them to survive and thrive. Mutagenesis has been an indispensable technique throughout the history of conventional plant breeding. The U.S. Department of Agriculture (USDA) does not consider the use of mutagenesis a disqualifying factor in the certification of organic crops. Scientists researching Crown Gall disease in woody shrubs (such as grapes and raspberries), observed that the microorganism Agrobacterium tumefaciens, a soil-based bacteria causing tumors in and around the roots, had evolved a unique molecular mechanism that outsourced the manufacturing of molecules it was unable to self-synthesize but were essential to its existence. This novel bacterium was capable of transgenesis, incorporating foreign DNA into the genome of a plant. A plant’s primary defense against Agrobacterium is a thick outer cell wall protecting the vulnerable internal cells that are susceptible to transgenesis. Once this defense has been breached through wounding, the plant secretes defense molecules into the soil. These molecules, called chemoattractants, are released as a secondary defense mechanism, but are advantageous to the Agrobacterium in two ways. At low concentrations within the soil, they betray the plant location, revealing the direction of the wound. As the bacteria travel to the wound, the concentration of the chemoattractants increases, and eventually crosses a threshold that activates gene expression within Agrobacterium. This response produces the molecular proteins required to launch an attack on the compromised plant cell. A victorious Agrobacterium will have penetrated plant cell defenses and transported the genetic code into the cell. Once inside, a molecular flag called the nuclear localization signal is attached to the foreign DNA. This flag helps recruit other proteins within the cell responsible for transferring the foreign DNA from the cytoplasm into the nucleus. Inside the nucleus, other proteins work to incorporate the DNA into the cell’s genome, a permanent modification that will be reproduced when the cell undergoes division. Scientists have modified this natural pathway to develop transgenic plants. By altering the DNA sequence in the bacterial plasmid (a type of DNA molecule that is distinct from the cell’s chromosomal DNA), they are able to incorporate foreign DNA into a plant’s genome. While it is possible to use this technology to produce transgenic coffee, it has not been an active area of research. 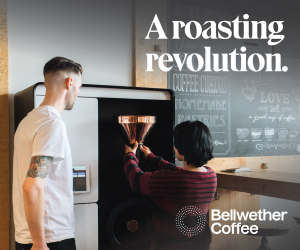 A Japanese research group produced transgenic coffee in 2003 that expressed a 70 percent reduction in caffeine; however, this project was never made commercially available and is understood to be a proof of concept rather than a solution to a problem. The root-knot nematode, a parasite that infects the roots of the coffee shrub, has long been a problem for farmers in the Kona region of Hawaii. Infection significantly impairs a plant’s ability to take in nutrients and water, jeopardizing its health and yield as well as the quality of the coffee. To combat nematode infections, many farmers in Kona use a Coffea liberica root stock, which exhibits a stronger resistance to the parasite, but they are hesitant to use this approach as some circumstantial evidence indicates that root stocks might negatively impact coffee quality. A callus formed from coffee tissue being cultured in a lab. | Photo by Andrew Bowles. In 2006, Dr. Chifumi Nagai, a senior scientist in plant breeding and biotechnology at the Hawaii Agriculture Research Center (HARC), decided to apply research in cystatin — a proteinase inhibitor modified from the rice genome that has previously shown resistance to nematodes in other plants — to coffee. Using Agrobacterium tumefaciens to insert the genomic sequence of cystatin into the genome of Coffea arabica (sp. typica), she and her colleagues were able to develop a transgenic coffee plant that demonstrated an increased resistance to the root-knot nematode. For molecular biologists and geneticists, CRISPR (clustered regularly interspaced short palindromic repeats) is currently a trending topic in laboratories, academic journals and conferences. CRISPR-related research has gained momentum in the past decade as the implications of how CRISPR could be used as a gene-editing tool have become clear. The origins of CRISPR research began at Danisco, a Danish food ingredient company that was seeking to mitigate viral contamination in its probiotic products. In 2007, Danisco research was published in the journal Science, demonstrating that bacteria have an immune system than can fight viral infections, analogous to vaccinations. Not only was this research novel, it attracted other scientists with similar research interests, including Dr. Jennifer Doudna from the University of California, Berkeley. Her first CRISPR publication in 2012, co-authored with Dr. Samuel Sternberg, represented an inflection point in CRISPR research — the gold rush had begun. Because bacteria are vulnerable to viral infection, they have evolved a clever molecular mechanism — CRISPR — to defend against attacking viruses. Through genomic sequencing, researchers noticed interesting repetitive patterns in a region of the bacterial DNA (which does not code for proteins), also known as “junk DNA.” It is estimated that junk DNA accounts for up to 20 percent of the bacterium’s genome. (There is a debate over whether junk DNA is significant or literally junk sequences that do not contribute to the function of the organism.) Further research revealed that the sequences between the short repetitive patterns in bacterial DNA matched viral sequences. Scientists were beginning to paint a picture of how the bacterial immune system worked. When a new virus infects bacteria, it penetrates the cell wall and injects viral DNA into the bacterium’s cytoplasm. The presence of viral DNA initiates an immune response, recruiting two proteins (Cas1 & Cas2) that work together to recognize the foreign DNA and cut out a small segment, called a spacer. The spacer is then attached to the CRISPR sequence within the bacterial genome, followed by a palindromic repeat sequence. This allows the bacterium to have an adaptive immune system, in addition to a molecular memory, should the bacterium encounter the same virus in the future. Embryonic coffee tissue in a suspension of maintenance medium. Photo by Andrew Bowles. Dr. Doudna’s research established the idea that CRISPR potentially could be used for genetic engineering. While the technology is capable of adding genes, scientists are more interested in its ability to delete genes, activate genes that are silent, or suppress genes that are activated. The implications of this discovery have ripped through the world of science almost overnight. While the focus of CRISPR has been mainly in biomedical research, the agricultural applications could be equally relevant. 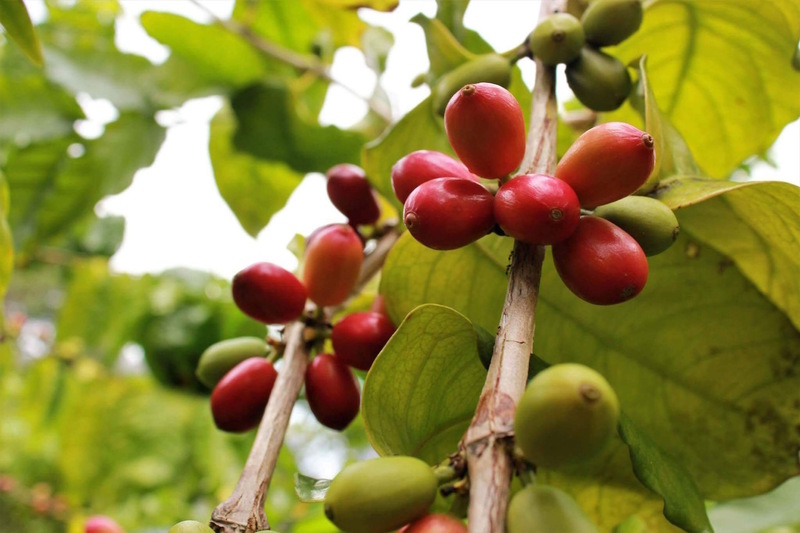 Researchers at the University of California, Davis, recently sequenced the genome of Coffea arabica (which has been made publicly available). 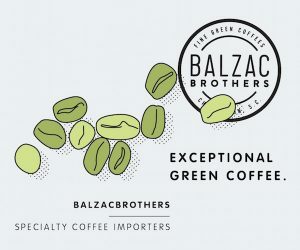 They discovered there are approximately 70,000-plus genes in the coffee genome. Through the use of genomic sequencing and CRISPR, scientists could now be capable of editing the coffee genome and selecting desirable traits, though it appears no one is using this technique to breed coffee plants at this time. Without profit incentives for big agriculture companies to invest in coffee research, advancement in the field has been left to various laboratories throughout the world, many without large research budgets. Now kits are available with the basic CRISPR components for $65, a price well within the reach of scientists interested in developing new coffee cultivars. Custom RNA sequences also have decreased in cost due to advancing technologies. Another potential advantage of using CRISPR to edit the coffee genome is that many regulatory hurdles are not required. Agencies such as the USDA require oversight only if an organism is transgenic (i.e., foreign DNA has been incorporated into its genetic makeup). Many crops have been gene-edited via CRISPR and will be available in the grocery store within the next year. One example is the white button mushroom, which has been edited to slow the browning process, as consumers typically see a lack of browning as an indication of freshness. Still, while some believe CRISPR could provide a solution to the threats coffee faces due to climate change, a number of prominent coffee researchers disagree. World Coffee Research (WCR), for example, is not using CRISPR, and the organization’s scientific director, Christophe Montagnon, cautions against believing it can single-handedly save coffee. While some characteristics in a plant are controlled by a single gene (monogenic traits) or few genes (oligogenic), many of the most valuable traits — yield, disease resistance, cup quality and others — are controlled by numerous genes interacting in complex ways (polygenic traits). CRISPR is currently able to target only single or very few genes. Editing one gene among the numerous genes controlling a polygenic trait will have no significant effect on that trait. Furthermore, Montagnon continues, gene editing requires the ability to precisely identify the genes that control specific traits. While both robusta and arabica have been genetically sequenced, researchers are still a long way from identifying which genes control which traits — even the monogenic ones. There’s also no guarantee that even targeting the correct genes will have the desired effect — and only that effect — on the resulting plant. The distinctively large seeds of the Maragogype plant are a result of natural genetic mutation. 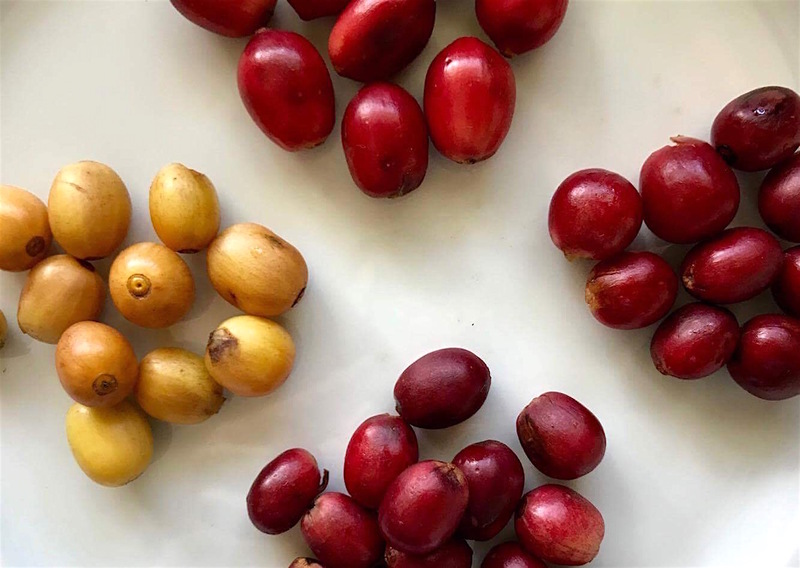 Pictured: Maragogype (top), typica Blue Mountain (right), red caturra (bottom) and yellow bourbon (left). Photo by Juli Burden. New coffee cultivars that will help producers adapt to the impacts of climate change will need to include advantageous traits such as increased yields and enhanced drought tolerance. Sulaiman adds that because of decreased yields, farmers want to increase their land holdings, thus deforestation has begun as farmers move into the forest to grow coffee. Deforestation compounds the effects of climate change, as carbon dioxide consumption decreases with fewer trees, and carbon dioxide output increases as land is burned. The soil quality also is diminished, increasing the risk of landslides. Editing the coffee genome using CRISPR or other agricultural biotechnologies will require a healthy debate that should involve all participants in the specialty coffee industry — from producers to consumers, and everyone in between — and emotional, uninformed reactions to GMOs should not distract from this important discussion. In large part, commercial applications of genetic engineering have focused on crops whose entire existence has been threatened. After the Hawaiian papaya industry was devastated by the papaya ringspot virus, for example, Cornell University’s Dr. Dennis Gonsavles developed a genetically engineered papaya that essentially inoculated it against the virus. He offered the seed free to the industry, which is once again thriving. Mandatory labeling of GMO foods has been a sensitive legislative topic. Currently, the FDA requires labeling only if a product is known to cause health or environmental risks. The American Association for the Advancement of Science (AAAS) believes labeling GMO foods could “mislead and falsely alarm customers,” according to the association’s website. 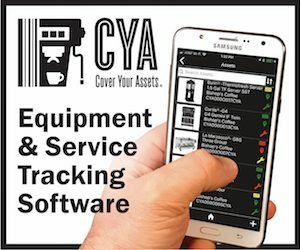 For Long, the voluntary non-GMO-verified labeling program provides an alternative for companies whose leaders believe consumers have the right to know whether their foods have been genetically altered, just as they have a right to know if the products they purchase are certified organic or fair trade. Long’s concerns regarding the use of genetic engineering, which he refers to as the “negative lottery ticket,” are based on the current popular understanding of how complex systems interact: The possibility of something going wrong is small, but if something does go wrong, the consequences could be catastrophic. He doesn’t support banning research on genetic engineering and GMOs, but he does feel we should address issues such as food distribution and mono-cropping before resorting to GMOs as an answer. “I personally would [rather] have a cup of coffee every other day than have to introduce GMOs into the system,” he says. Despite the popular but largely emotional aversion to genetically modified foods and beverages, scientific consensus supports the safety of GMOs. The AAAS, World Health Organization, American Medical Association, U.S. National Academy of Science, and British Royal Society all agree, based on more than 30 years of research, that the risks of consuming GMO crops are equal to the risks of consuming non-GMO crops. Scientists also agree that continuing to support research in genetic engineering is essential to the long-term health of numerous agricultural industries, including coffee. Andrew Bowles is passionate about science (and coffee). He is a freelance journalist who focuses on science communication and a graduate student at Johns Hopkins University working on a master’s degree in science writing. He can be reached at hello@civilscience.blog. How much were you paid to write this article?